France’s South West seems to have been blessed with more than its fair share of natural beauty, which makes it a great destination for a camping holiday. Two coastlines, three river valleys and a jaw-dropping mountain range help seal the camping deal, while the vineyards and rolling countryside in between are the icing on the cake. Add to this, the Mediterranean climate of the South of France and you have a perfect camping destination! A wonderfully hidden, family-friendly, riverside campsite with space for just a handful of lucky campers. A wonderfully hidden, family-friendly, riverside campsite with space for just a handful of lucky campers and wild swimming. No need to pack anything other than your clothes. All books, toys, and baby equipment will be here waiting for you. 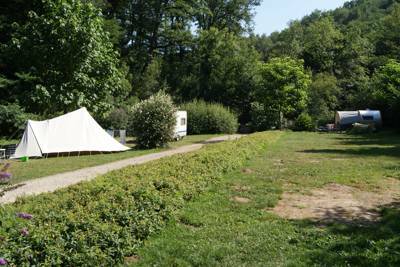 A large, family-friendly campsite on a medieval farm in the Dordogne valley, bursting with onsite activities. 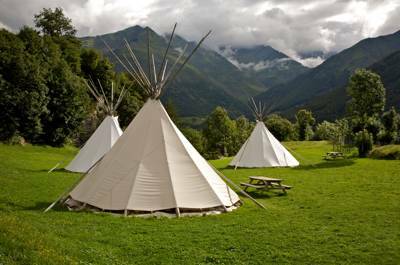 In the mountains with goats and tipis.Enjoy the gorgeous scenery, from the ski town of Luz-St-Sauveur to the highest waterfall in France at Gavarnie. A pitch among pine trees on the edge of a sandy beach, a luxurious safari lodge with a mountain view, a French roulotte by a river or lake… whatever you’re looking for from a camping holiday in South West France, our hand-picked selection of campsites can deliver. France’s South West seems to have been blessed with more than its fair share of natural beauty which makes it a great destination for a camping or glamping holiday. The South West includes two coastlines, three river valleys and a mountain range with vineyards and rolling countryside in between. Add to this, the Mediterranean climate of the South of France and you have a near-perfect holiday destination. 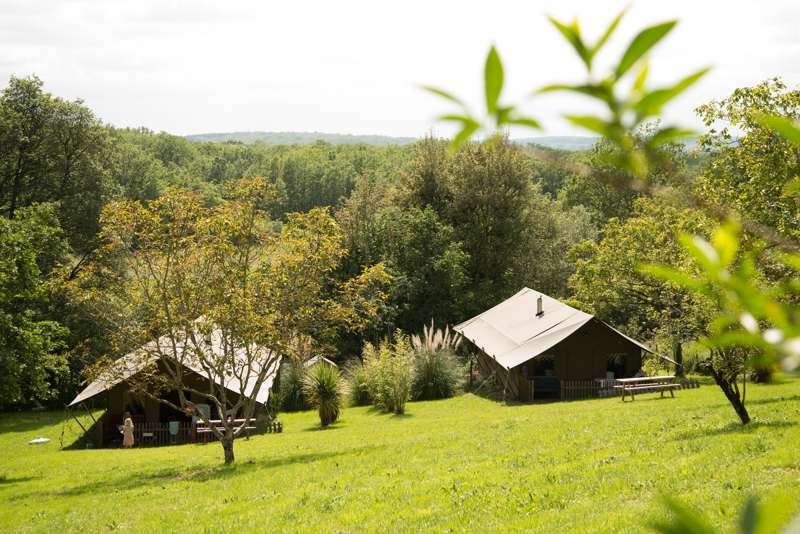 It’s no exaggeration, and perhaps no surprise, to say that the Cool Camping team have found more cool campsites in the South West than any other part of France. 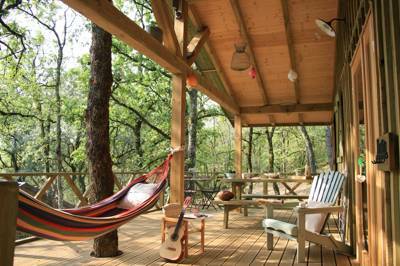 Our hand-picked selection of camping and glamping sites in South West France includes sites on the Atlantic and Mediterranean coasts, in the well-loved Dordogne region, in the river valleys of the Lot and Garonne and in the Midi Pyrénées. 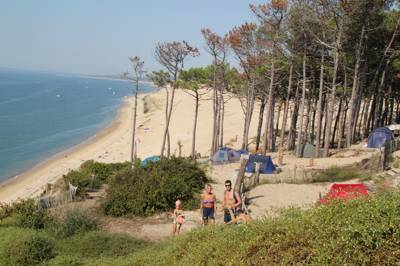 The popularity of South West France as a holiday destination means there’s no shortage of campsites across its varied regions. We may be a little biased but we can’t think of a better way to make the most of the warm weather and great outdoors than a spot of classic camping. The proximity of our nearest neighbour and the great transport links mean you can pack the car up and hop over (or under) the Channel with relative ease. Unrestricted by airport baggage allowances, you can take all the things you need to make your camping holiday enjoyable whether that’s a range of family bikes, a pair of kayaks or a super-dooper new tent. It may take a little longer to reach the South of France than a UK destination, but chances are you’ll have significantly better weather which alone can make the long drive worthwhile. 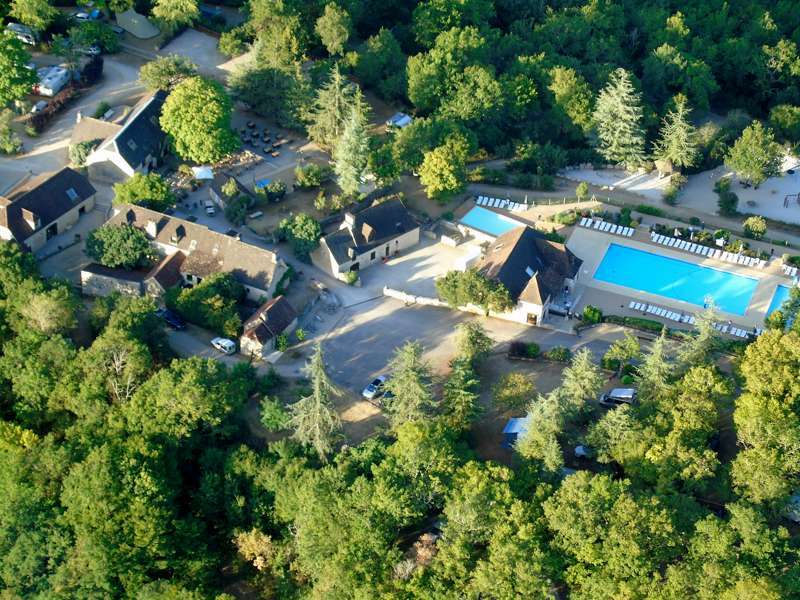 Our collection of classic camping sites in South West France includes some small sites with just a few pitches as well as some larger ones that we think offer something special. Even on the smaller sites that make up the majority of the Cool Camping collection, you may find that French campsites often include a few more facilities than the average UK one. In the hotter weather, a swimming pool is almost obligatory and there will often be other sports facilities and games such as table tennis, pétanque and sports courts. For some people, pitching a tent is all part of the fun but for others it’s just a hurdle to overcome before the holiday really begins. If you recognise yourself in the latter description, maybe it’s time you give glamping a go. You get all the pleasure of camping with none of the hassle: you won’t need to pitch a tent, you don’t need to worry that you forgot to bring a can opener and you won’t be cramming stuff in to the roofbox – or not quite as much stuff anyway! 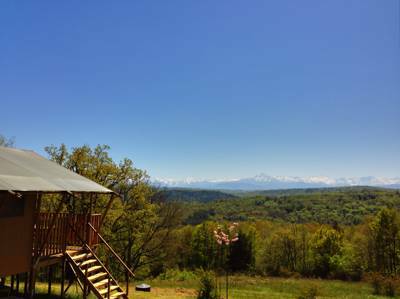 South West France is a great place for glamping as the pre-pitched tents that are the mainstay of the glamping scene are a familiar sight in this area. Larger campsites have offered safari tents and chalets for years and these days the range is expanding to include shepherd’s huts, roulottes or gypsy caravans. While we tend to steer clear of most big-name, branded campsites we make an exception to the rule when we find places that offer something a little different or an extra special location. 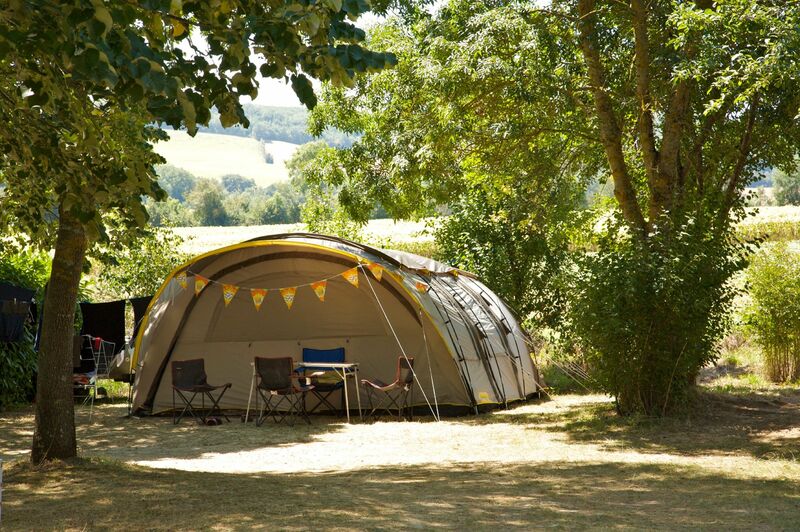 Our range includes some Huttopia campsites which offer a great range of facilities and activities while retaining the ethos of a classic campsite. In addition to these larger sites there’s the newer breed of glamping sites where there are bell tents, yurts and tipis for hire as well as more unusual options like treehouses and geodesic domes. Some of this glamping accommodation has popped up on existing campsites where you have access to well set-up and established facilities and others are bijou sites with one or two luxury tents or lodges with plenty of space, privacy and fantastic facilities to match. Camping in the South of France makes for a fantastic family-friendly holiday. It can be a great-value way to enjoy the sun and there’s always plenty to keep the kids amused. French campsites tend to be set up with families in mind and there’s never a dull moment on the larger sites with kids’ clubs, swimming pools, play equipment and sports facilities. Even on smaller sites that aren’t able to provide these distractions, the adventure of camping is enough to keep most children happy and they will love the endless days running around barefoot, swimming, drinking Orangina and overcoming the language barrier to make friends with kids who don’t speak the same language. 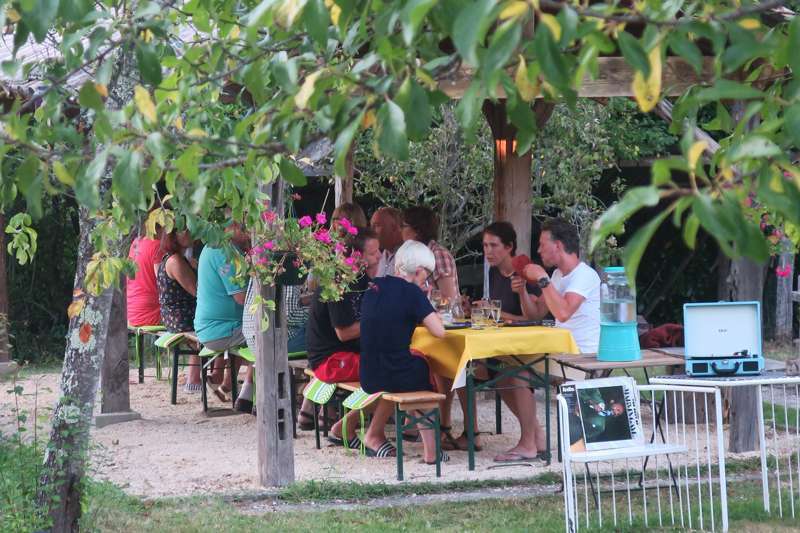 Camping and glamping in France is also great for extended family groups or groups of friends as you can all have your own tents or chalets but share meals and social spaces. It’s also one of the easiest places to travel to for a holiday in the sun where you can take a dog too and there are a fair few dog-friendly campsites in France – just make sure you get a doggy passport in advance! Drive, train or fly? Ferry or tunnel? The classic way of getting to the South of France for a camping holiday is by car and cross-Channel ferry. By packing the car full of kids and kit you can help keep costs low with a price per car rather than a price per head – but don’t forget to factor in fuel and the cost of the toll roads too. Make your way to your holiday by car and the journey is all part of the adventure. You can watch the White Cliffs of Dover recede in to the distance as you cross the Channel then enjoy the drive as rolling countryside becomes fields of sunflowers and hay meadows. In fact, you may want to split the journey over a couple of days and try another Cool Camping recommended site along the way. A ferry crossing is usually the cheapest way over the Channel and the quickest route (Dover-Calais) takes about 90 minutes but if your aim is to get to your destination as quick as possible in your own car, you could book a crossing with Eurotunnel which takes just 35 minutes to take trains full of vehicles under the sea. If you’re glamping, or have mastered that rare trick of fitting camping kit in to the airport baggage allowance, you can fly to one of the many airports in the South of France from the UK: Caracasonne, Toulouse or Bordeaux for example. Or how about taking the train? Eurostar operates a service from St Pancras in London or Ashford in Kent straight through to destinations in the South of France including Marseilles, Aix-en-Provence and Avignon. Think of camping on France’s Atlantic Coast and the mind conjours up an image of tents pitched among pine trees on the edge of a sandy beach. It should come as little surprise then to find out that the south west coast of France is home to both Europe’s biggest sand dune at Pilat and the largest maritime pine forest at Les Landes. These wilder parts of the coast are great for bird and wildlife watching and outside of protected areas, the long stretches of sand are perfect for swimming and watersports too. There are also coastal lagoons behind the beaches, many of which offer more sheltered beaches, facilities and camping on the shores. Bustling Biarritz and beaches on the Bay of Biscay are world-renowned for the quality of the surf. This elegant seaside resort is a bit of a foodie hotspot too so it’s a great place to try the seafood and Basque-country classics. The three major rivers of South West France, and their tributaries, offer more fun on the water. Canoeing and kayaking on the Dordogne, Lot and Garonne rivers are popular ways to explore in these fertile river valleys. You can take to the water to see attractive towns like medieval Brantôme or head out in to the countryside to watch wildlife and look out for fairytale châteaux amid the vineyards and forests. Produce from this rural part of France is available in the food markets of the region and shopping at them can be a genuine highlight of a holiday here: try Sarlat-le-Caneda where producers gather to sell their wares in a covered market for cheeses, walnuts, honey and more. If you’re camping in the Dordogne region, you won’t want to miss the UNESCO World Heritage-listed Lascaux Caves with their prehistoric cave drawings either. France’s western border with Spain is naturally formed by the Pyrénées. 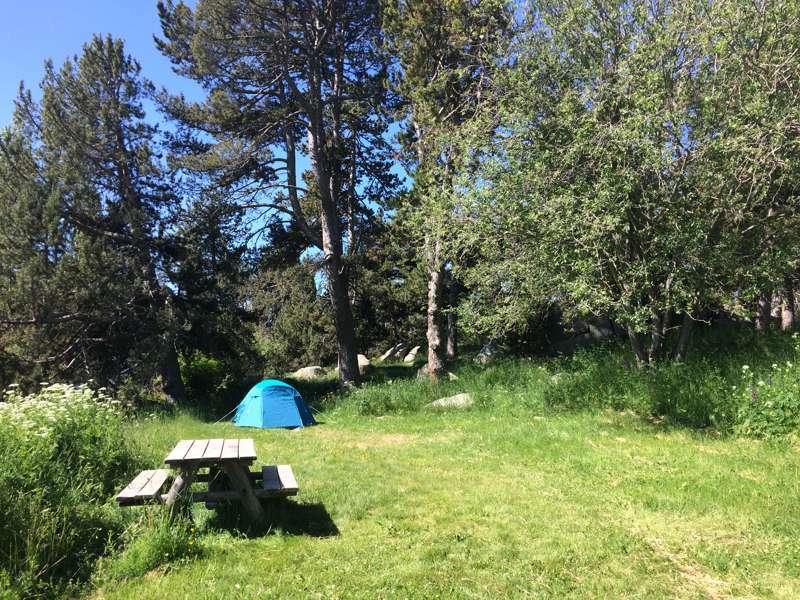 A magnet for walkers, hikers, climbers and adventurous types, it’s no wonder that camping in the Midi Pyrénées is popular. This is the place to camp or glamp if you fancy a bit of mountain scenery as the backdrop to your al fresco breakfast or want to try some adrenaline-fuelled sports and activities on your holiday. There’s white-water rafting, mountain biking and hiking galore, including part of the famous Santiago de Compostela pilgrimage route, among the 3,000 metre peaks of the Pyrénées and their foothills. But if that’s too much, there’s a slower pace of life in this region too. One of France’s best known inland waterways the Canal du Midi flows from the region’s main city Toulouse in to the Languedoc region and the Mediterranean at Sète. Strolling on its banks or stepping aboard for a gentle cruise or simply enjoying the scenery of the region are all equally valid ways to experience the Midi Pyrénées. The Languedoc region encompasses the western half of France’s Mediterranean coast. It may have far less glitz than the French Riviera, but it still offers glorious beaches and azure waters. In fact, it has more sandy beaches than the south-east with plenty of places for sunbathing, swimming and lazy days. Although there are a lot of built-up resorts, there’s some wilder coast too – including in the protected Camargue region around the Rhône River delta where you’ll find sand dunes backing the beach, not hotels and restaurants. The port city of Sète, where the Canal du Midi, reaches the sea is known as “the Venice of the Mediterranean” for its network of waterways and inland there’s plenty to explore too. Among the vineyards and river valleys, highlights include the medieval hilltop town of Caracassone, bustling Montpellier, the impressive Roman Pont du Gard aquaduct, and Cévennes Parc Naturel. South West France pyrenees midi-pyrenees gascony guyenne southerly westerly southwest southwestern south-western Landes, Pyrénées-Atlantiques, southwestern gironde Lot-et-Garonne Occitanie Gers Hautes-Pyrénées Tarn-et-Garonne Haute-Garonne at Campsites in South West France, From the prickly peaks of the Pyrenees to the beaches of the Atlantic coast, discover the best camping locations in South West France with this hand-picked selection of incredible campsites, specially chosen by the expert authors of the Cool Camping guidebooks.